This book is in stores today!!! Helen Hamilton has spent her entire sixteen years trying to hide how different she is—no easy task on an island as small and sheltered as Nantucket. And it’s getting harder. Nightmares of a desperate desert journey have Helen waking parched, only to find her sheets damaged by dirt and dust. At school she’s haunted by hallucinations of three women weeping tears of blood . . . and when Helen first crosses paths with Lucas Delos, she has no way of knowing they’re destined to play the leading roles in a tragedy the Fates insist on repeating throughout history. I loved every character in this book. They’re all so fun and real while being supernatural. I stayed up for two nights trying to finish this book. Its such a beautiful adaptation of Greek mythology into modern day storyline. Josephine grips you in a tale that is too much for words! Haunting, exploding, and absolutely breathtaking. I honestly cannot say more about this book without being spoiler-y. I cannot wait to see what happens next! I've heard great things about this one. I love any book that makes me stay up at night. Great review! Oh, sounds so good!! I'll have to see if I can snag a copy. Great review! this is one on the wishlist. Ooh, I loved this book! At first I had little trouble to get into it,but then it blew me away! 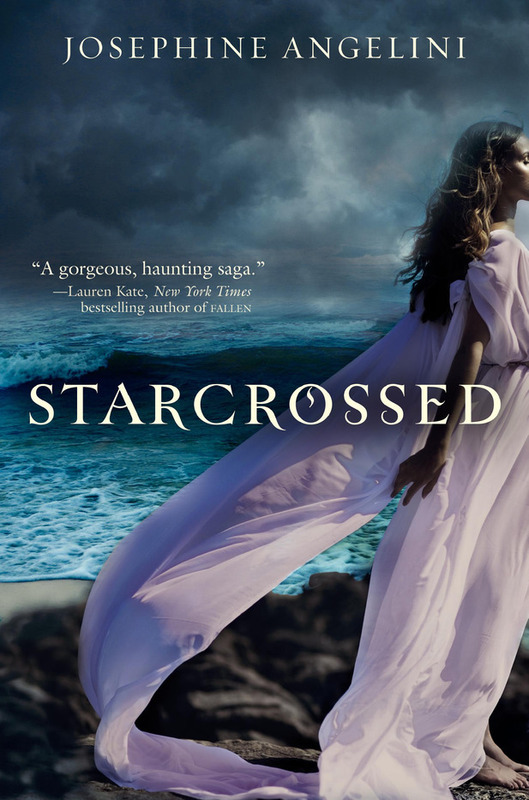 Starcrossed is an amazing read! I have read quite a few Greek mythology books, and this is one of the best. I absolutely LOVED the different surprises that arise along the way. Also, the “starcrossed” lovers is something that draws you in. You just can't stay away!!! The ending has left me in anticipation, and I can't wait for the sequel, Dreamless!!!!! I read a lot of “paranormal” young adult novels, and this one is one of my favorites. I don't feel that it's too cliché, too predictable, or too boring. It has just the right amount of romance, angst, comedy, and action to keep you wanting more!